PhotoBulk is an indispensable Mac image editor that handles loads of image editing tasks with an ease. 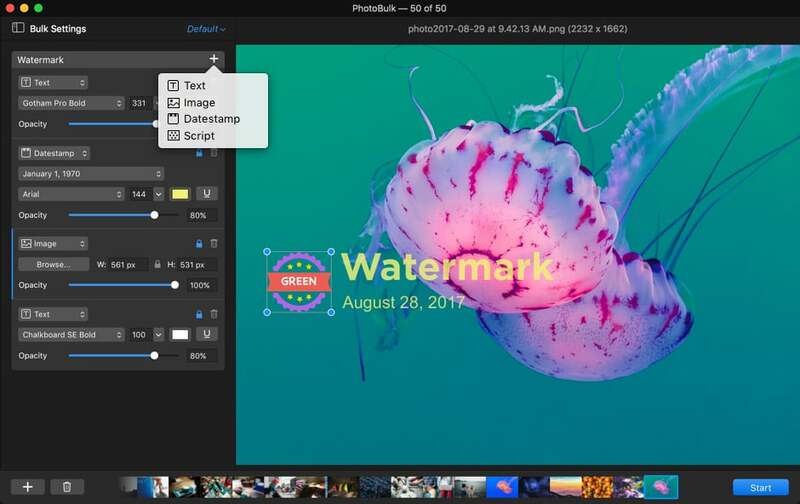 Our image editing software for Mac has all the features you might need: it is your watermark software for Mac, image resizer, image compressor and image converter — all in a click. PhotoBulk knows exactly how to rename photos on Mac. 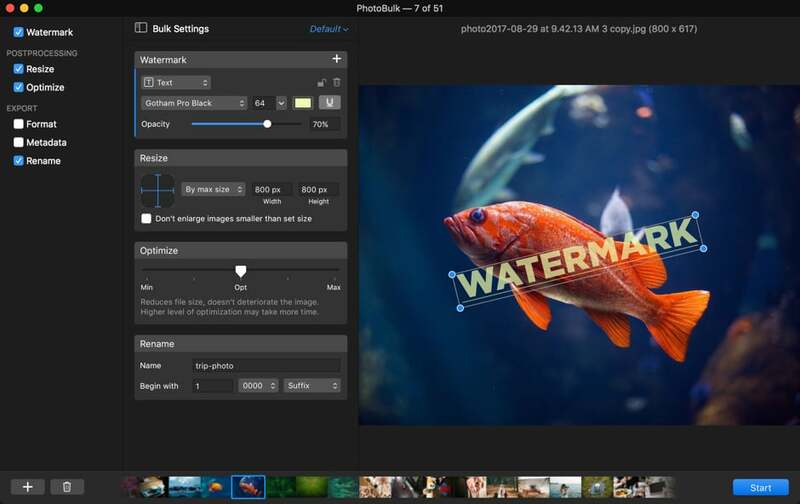 PhotoBulk 2 is coming with a new visual experience: the sleek dark interface is aimed at more efficient photo management and editing process on macOS. The new version of our image editor for Mac is meant to offer you a wonderful experience. Now you can conveniently preview images before saving, rotate and resize watermark in real time. Not only you'll know how to watermark photos on Mac now, but you also can add several watermarks to a photo at once with PhotoBulk. This way our image editing software Mac app helps you achieve a higher level of image protection. Take full control of editing process: preview and edit watermark settings, preview images with added watermarks. PhotoBulk offers dynamic repositioning of text when you resize a multiline text watermark. Move watermark beyond the boundaries of a photo when needed.